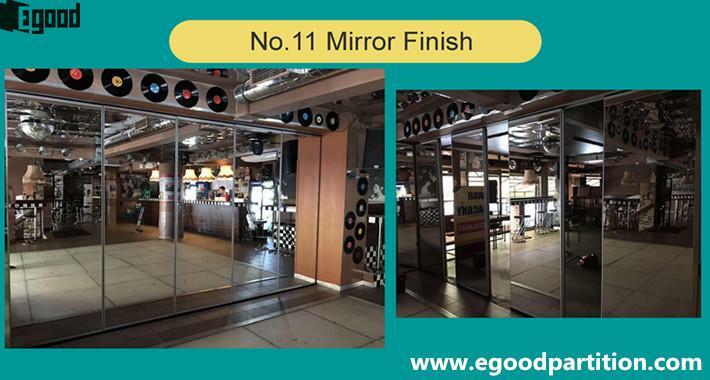 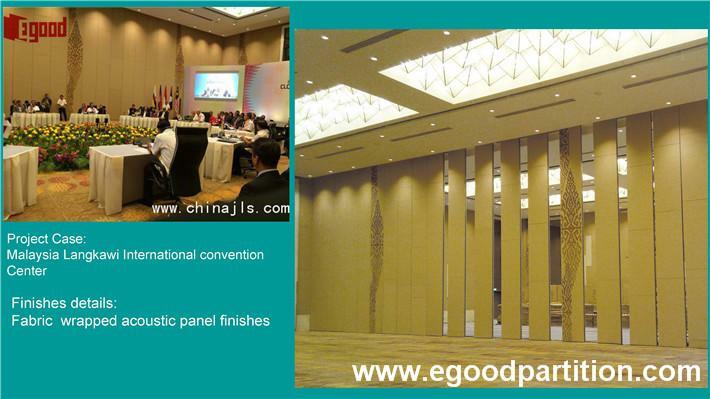 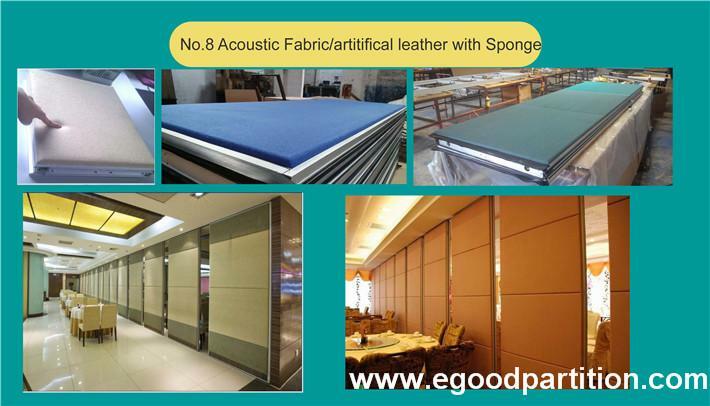 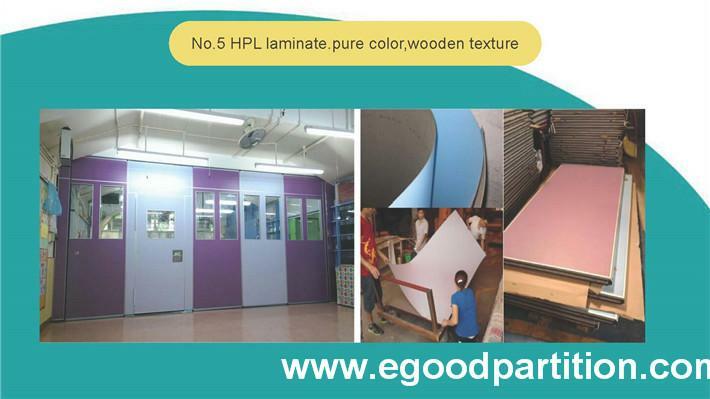 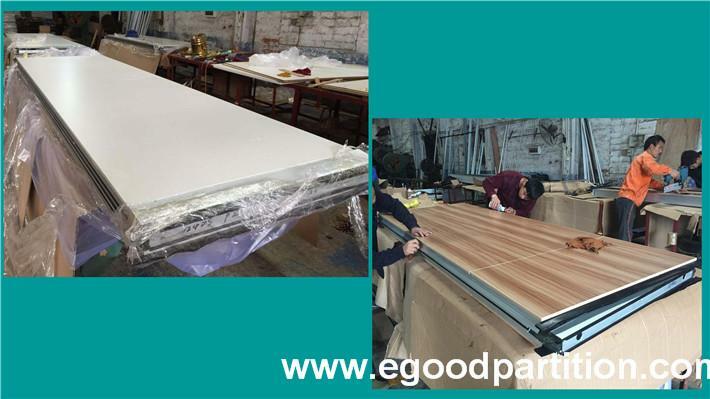 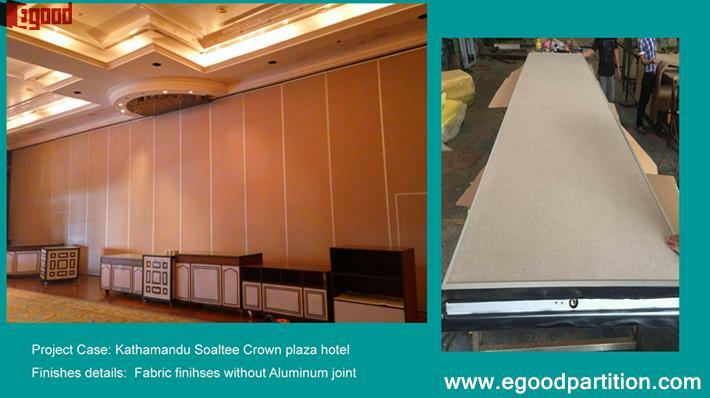 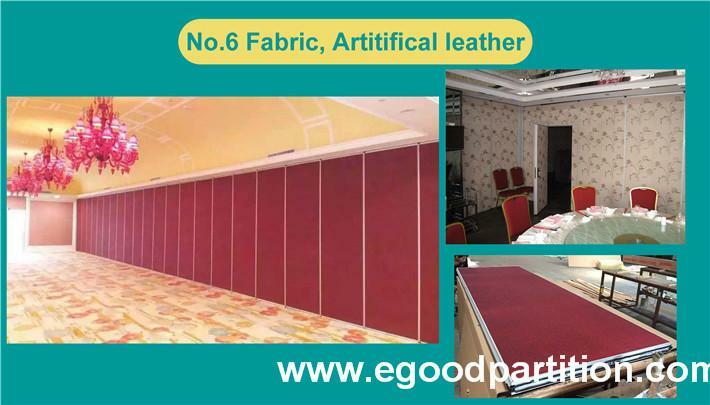 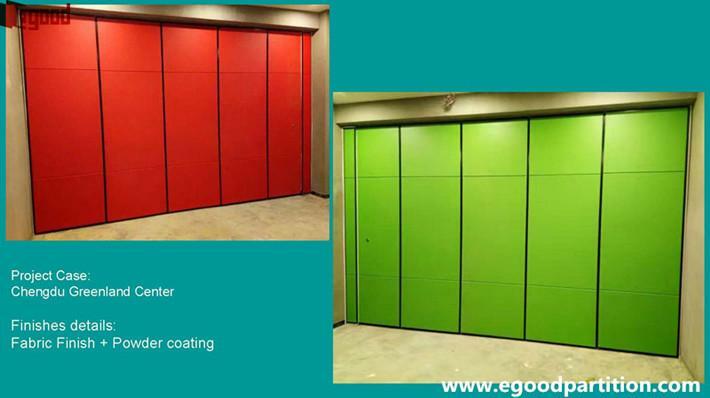 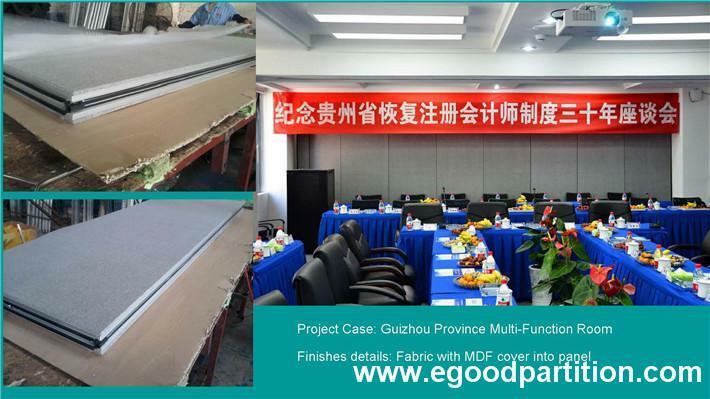 Egood provides panel finsihes such as melamine, fabric, leather, wood venner, high-pressure laminate or other custom surface. 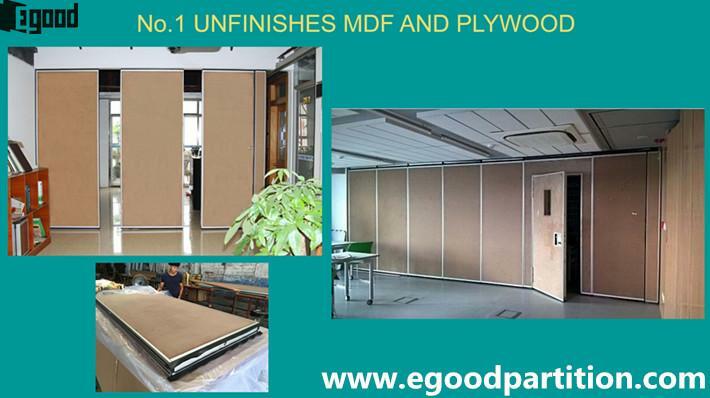 Panels also can be supplied unfinished (raw MDF or plywood) for field decoration to compliment the building environment. 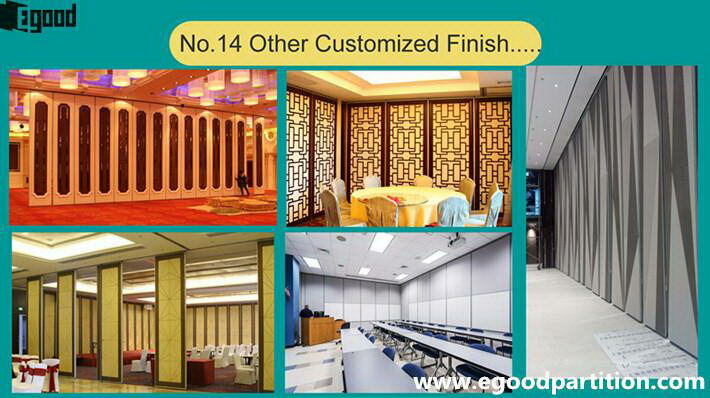 Let us have a clear look for all finishes options at the following. 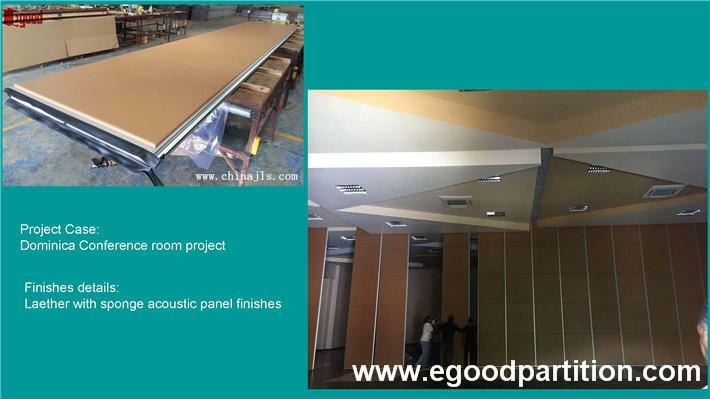 Option 1: Bare MDF/Bare plywood finishes. 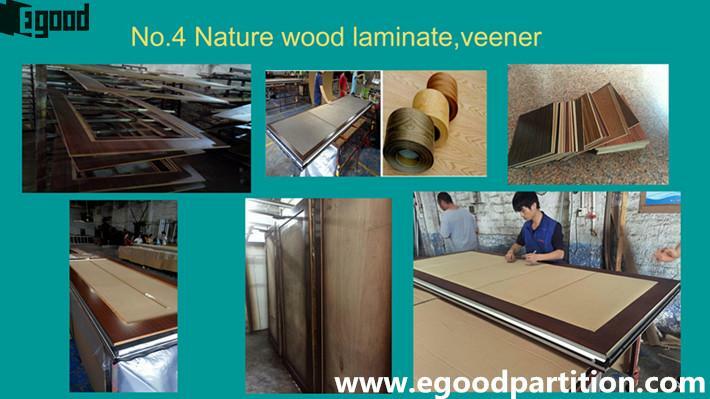 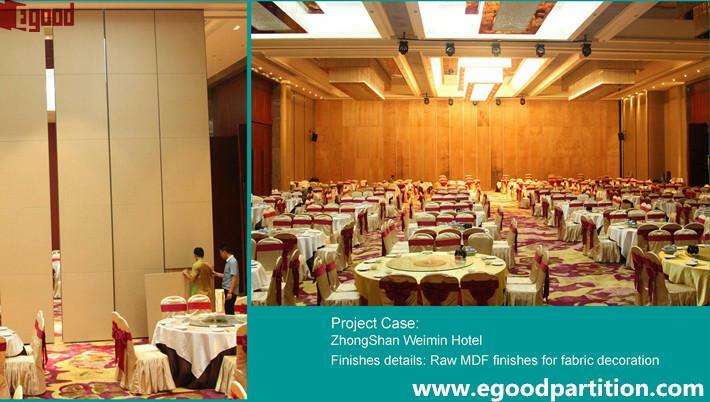 It is the most normal option that we provide Bare MDF or Bare plywood for client own decoration. 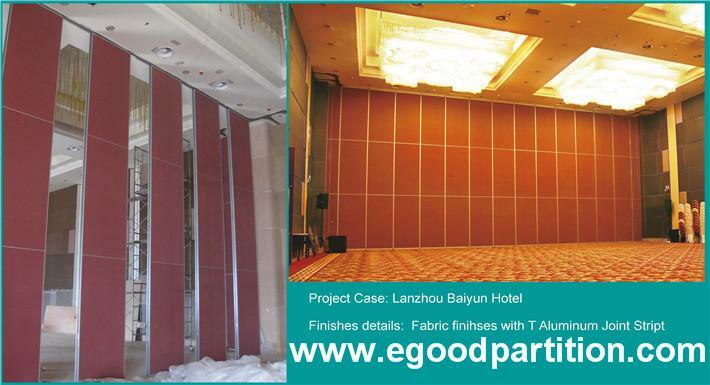 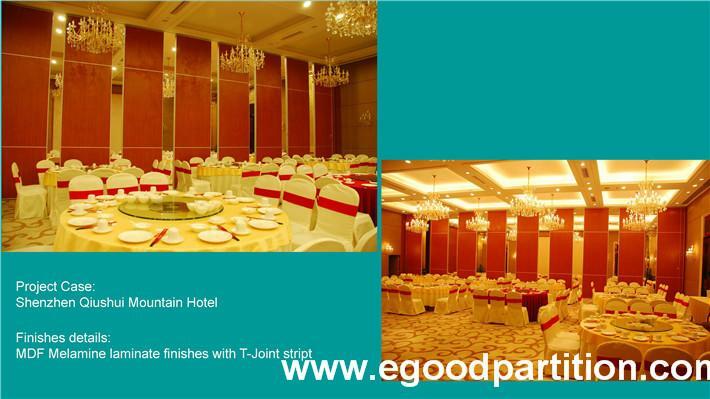 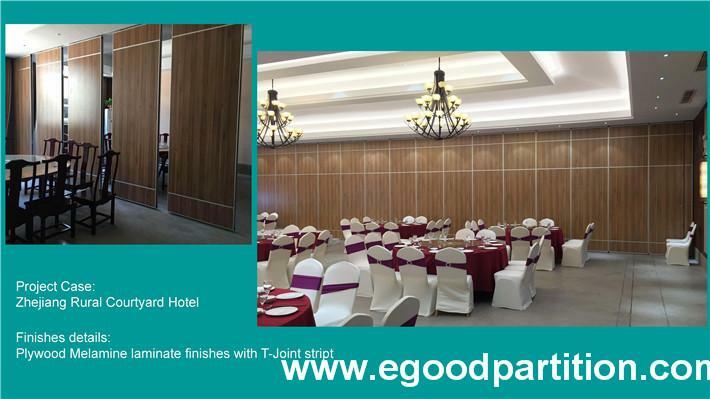 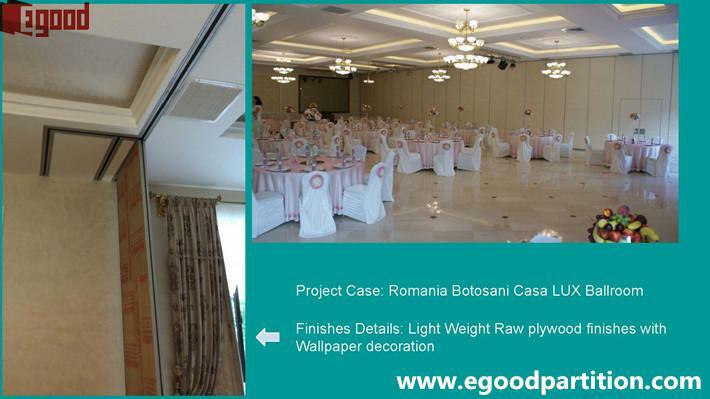 Client can stick wallpaper or cover fabric, wood veneer, etc...to compliment building decoration. 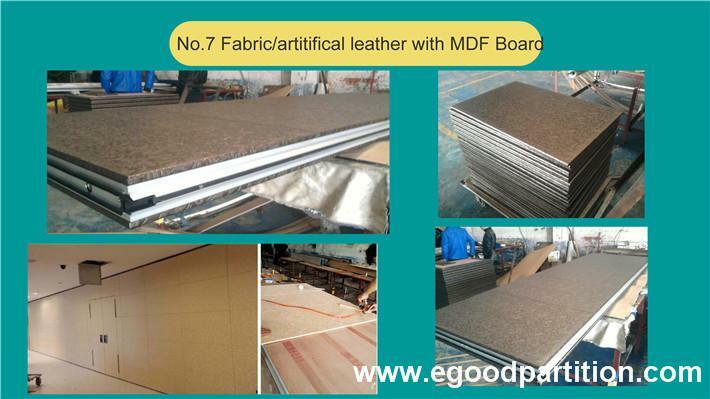 Compare with MDF, plywood would be more solid, fire &water proof with light weight; However, MDF would be more smooth, acoustical with high density than plywood. 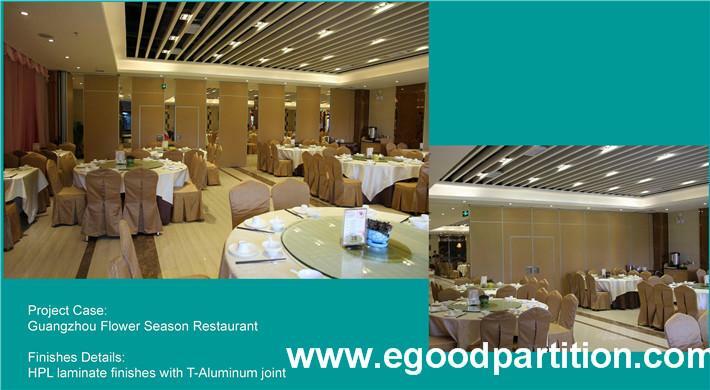 Melamine is the most popular finishes option was widely used in office, restaurant and conference room . 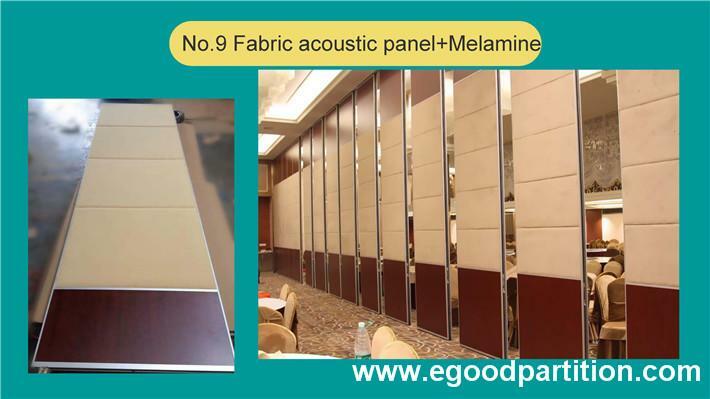 Use 9mm or 12mm Melamine, wooden texture to cover on panel surface. 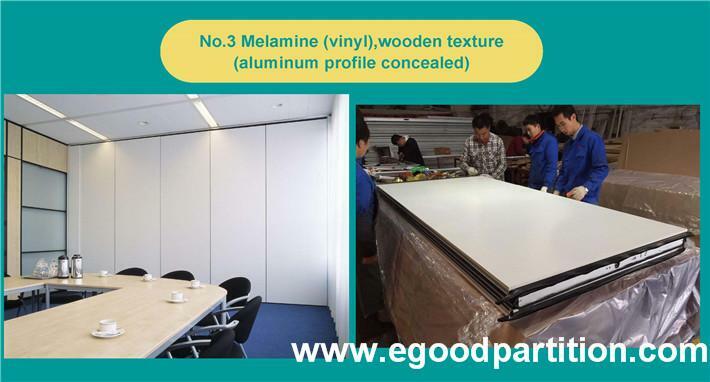 Aluminum profile would be concealed, since profile should be trimmed and complicate manufacturing, price would be more expensive then melamine laminate. 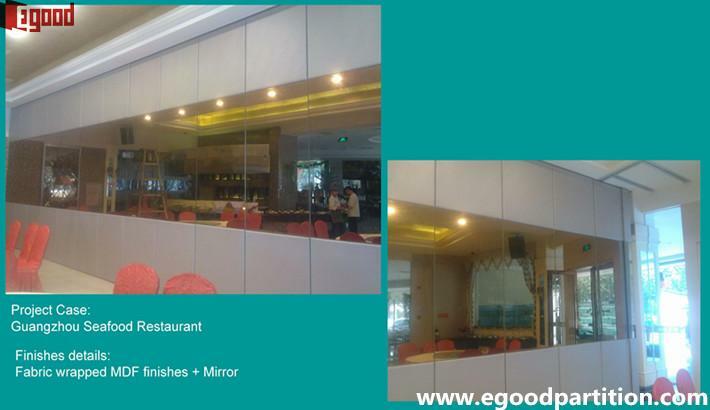 Normally Mirror should be stick by glass cement at panel surface, Mirror thickness should be 4-8mm. 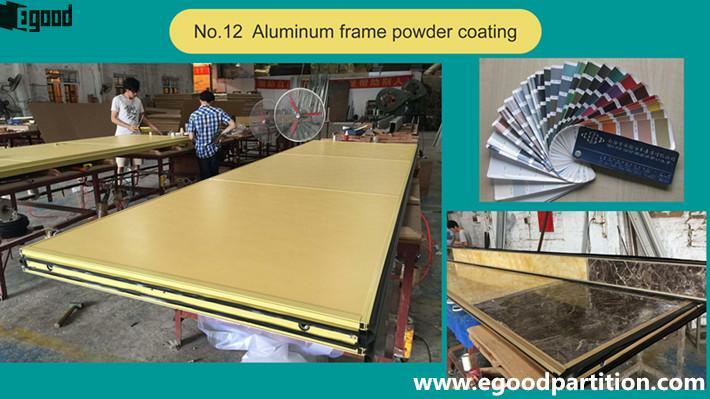 Aluminum frame and aluminum track can be powder coated by different color. 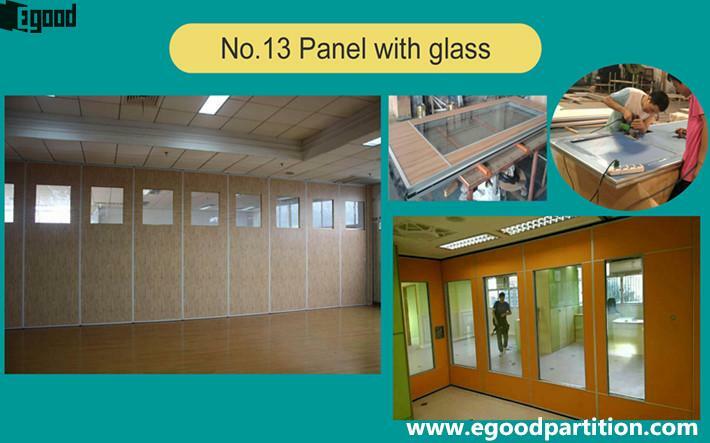 Size of glass in panel can be customized. 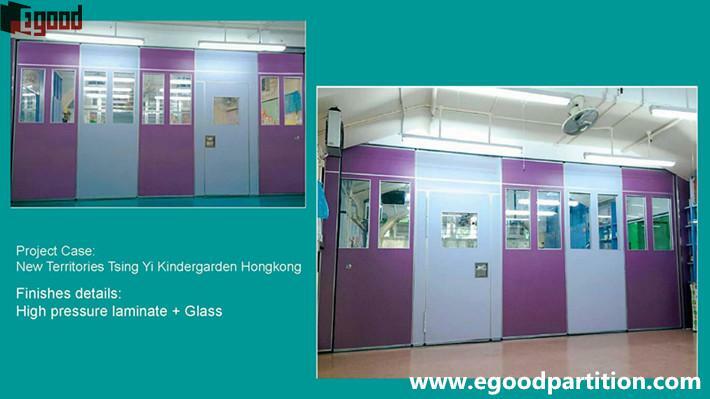 But better not more than Width 1m x Height 1.5m. 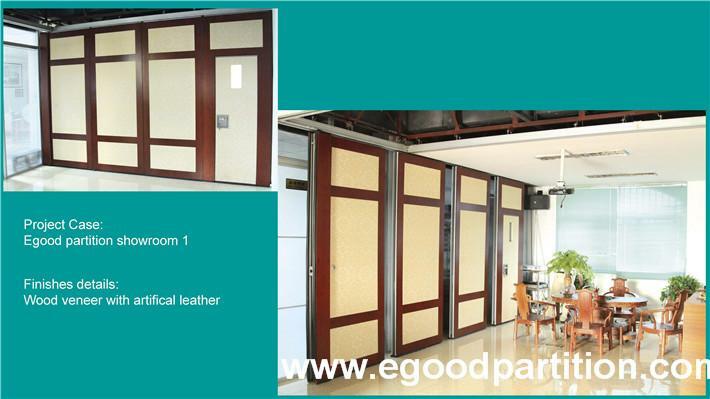 White board, solid wood frame, marble finishes and etc...all available. 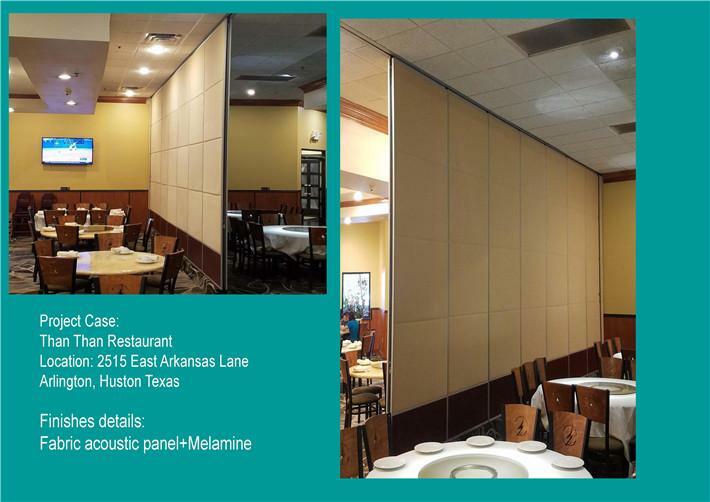 Welcome to contact us to custmize your partition wall!